St James has tenth century origins. The Norman tower with medieval chancel was rebuilt in 1589. 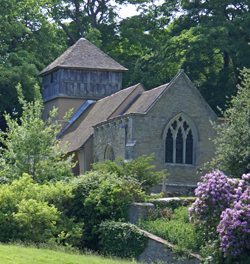 We are a friendly congregation and welcome visitors to our 11th century church, which is always open, or to join us at our services. Come and see the snowdrops in February or find out about our local children who were sent away on the Mayflower in 1621. Here you will find the Commemorative plaque from Massachusetts Society of Mayflower descendents dedicated to the children.